The LinkedIn profile summary should serve as a combination of an online cover letter and professional bio. LinkedIn has become the #1 job search site in the world and having a professional presence and complete profile is no longer an added bonus; it’s a requirement for job search. Portions of the summary can also be utilized to promote yourself on other social media sites as a means to building a consistent, professional brand. 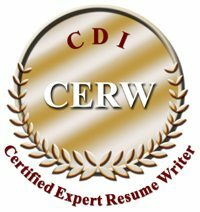 Every resume document package includes a professionally written, SEO optimized LinkedIn profile that helps you get noticed in a positive way. Our clients views on LinkedIn typically double and sometimes triple in a week. This is where the action is and looking for a new job without an optimized LinkedIn profile is like going to a job interview wearing one blue shoe and one black shoe.